Italian designer label Cavallieri created a modern tie that pairs two shades of purple with a contemporary diagonal striped design. This tie will look nice in any season and will complement any suit color - making this a tie any man should add to his wardrobe. 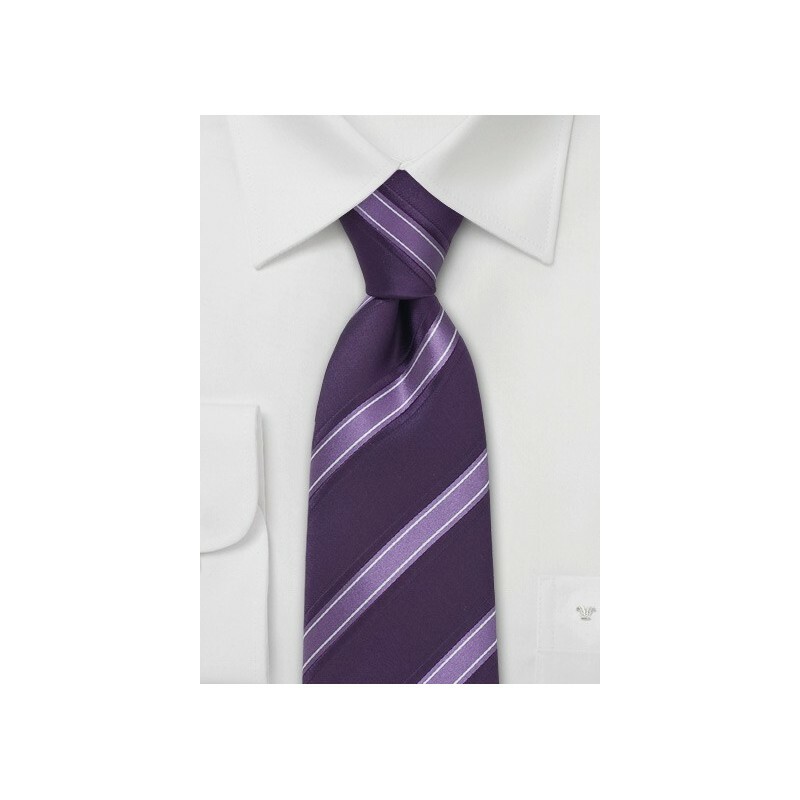 Although there are many ways to match this tie, we suggest a classic white shirt and navy suit. Looking for more uniqueness? Then pair it with a fine pin striped navy suit, white shirt, and camel-brown dress shoes. Made from 100% silk. 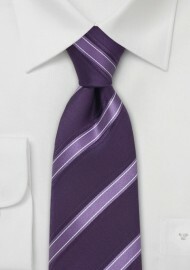 Neck Tie Length: 58", Width: 3.5"